Karnika Seth is an Internationally renowned cyber law expert & is the Founding Partner at Seth Associates . Ms Seth is also the Chairperson of the Lex Cyberia at Seth Associates, the World's first integrated cyberlaws research, forensics and legal consulting centre. Her book titled 'Computers, Internet and New Technology Laws' published by Lexis Nexis Butterworths elucidates the key developments in the field of Cyberlaws across many important jurisdictions, India, United States and European nations. Ms. Seth was conferred the Law Day Award from the Chief Justice of India for authoring this comprehensive reference work. Ms. Seth practices law at the Supreme Court of India and is principal legal advisor to many multinational groups and government entities. She is associated with the International Telecommunication Union’s initiatives and is a member of the global cybersecurity forum.Her expert views on cyber safety have been solicited by United Nations's International organisations and also by the Parliament and the Ministry of Information Technology for strengthening the cyberlaws in India. She is empanelled as legal expert to advise National Internet Exchange of India and represents the office of Comptroller of Certifying Authorities constituted under the IT Act, 2000.In 2013, she was appointed as legal expert to represent Indian Government in the panel formed to advise on objections to ICANN’s suggested new gTLDs. She has actively resolved many Cybercrime cases in conjunction with the law enforcement authorities in India. She is also an expert trainer to law enforcement authorities in India and abroad and regularly contributes her views on the subjects in conferences, print & electronic media and television. While cyberlaw is her core specialisation, Ms. Karnika Seth has diverse transactional experience, encompassing joint ventures, foreign collaborations, franchising and Intellectual property rights. 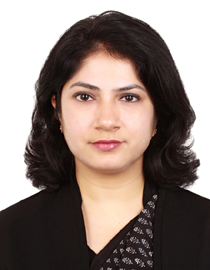 She has acted as legal advisor to reputed multinational companies in negotiating and finalizing various business and commercial arrangements and advised the on projects for launch of products and services in the Indian Market. Ms. Seth’s area of expertise also covers International Commercial Arbitration, International Trade , Banking,and Anti-dumping Laws. She graduated in Masters in Law from Kings College, University of London.